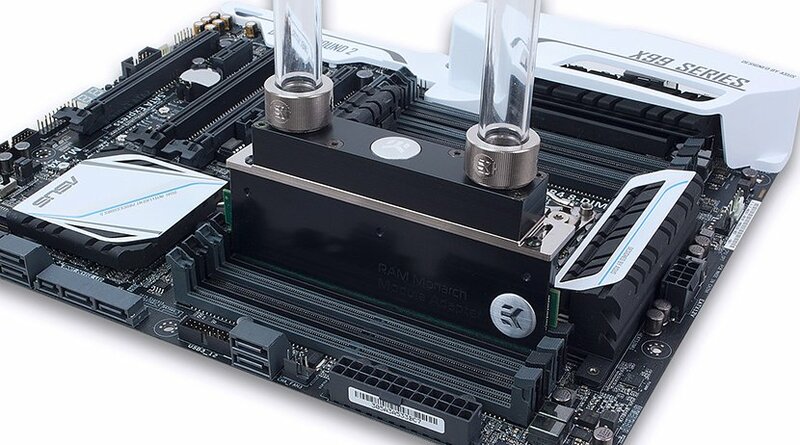 EK-RAM Monarch Module is a heatsink adapter which allows virtually any (DDR-)SDRAM memory module (of any generation) to be water cooled in conjunction with EK-RAM Monarch series water blocks. This set contains two (2) EK-RAM Monarch Module Adapter heatsinks. Each of these items are made of CNC machined high quality aluminium and feature black anodized finish.